I made my own homemade sunscreen after finding out that the one I bought at the store had weird ingredients in it. I didn’t exactly want these to be absorbed into my skin (yes, even despite it being cruelty-free). 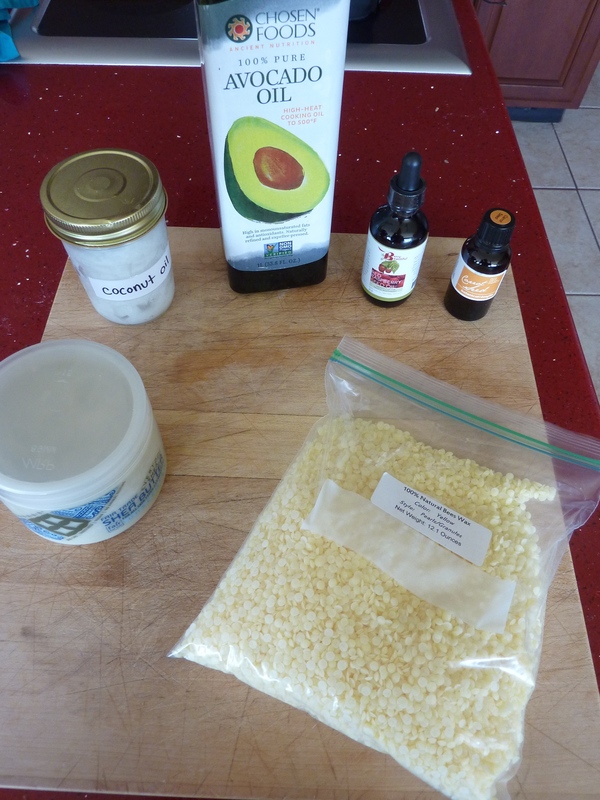 This recipe was adapted from several different recipes and was my first time making my own sunscreen. 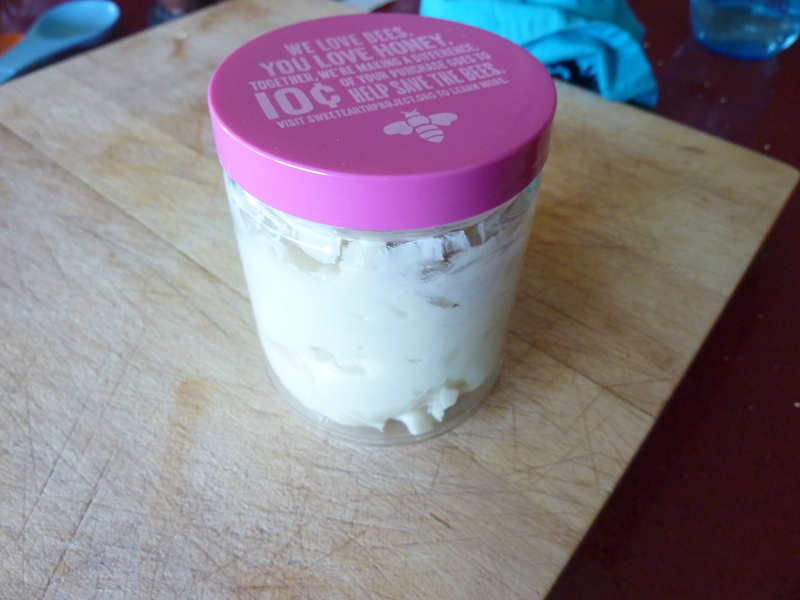 Welcome to my homemade sunscreen recipe without zinc oxide! With just seven ingredients and seven easy steps you can be on your way to enjoying the sun without getting burned! Any essential oils you want to scent it (trust me, you’re going to want to scent it) I used lavender but you can use whatever you want. Update Note: Readers have commented that citrus essential oils are photosensitive, so you may want to avoid these! 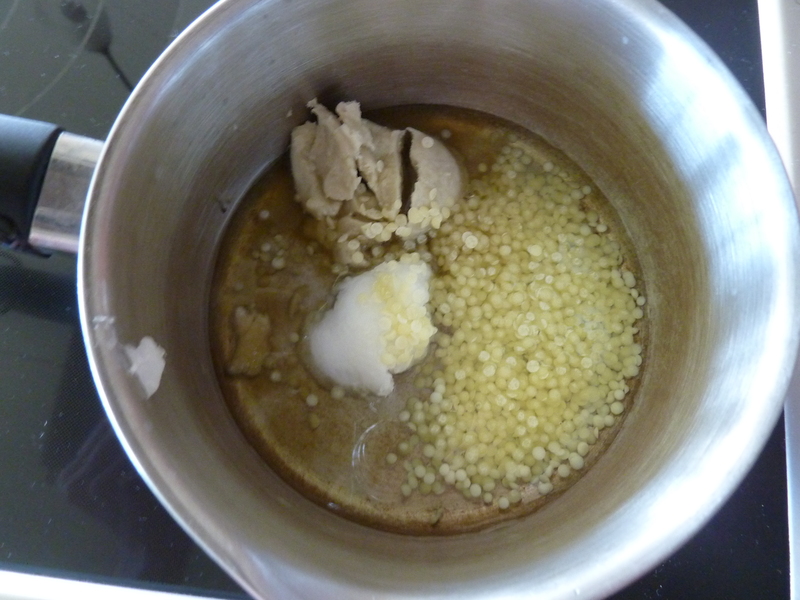 In a saucepan, put the shea butter, coconut oil, avocado oil, and beeswax in over medium heat. You’re on your way to having great homemade sunscreen! Let all of these ingredients melt together, stirring occasionally. The beeswax will be the last thing to melt. Put the whole thing in the fridge for 15-45 minutes. You want it to set up a bit but not be too firm! Note that this doesn’t make that much homemade sunscreen. This jar is pretty small. You may want to double the recipe if you are planning on sharing this or using it a lot. For me, I didn’t want to make a ton because I wasn’t sure how it’d turn out. Now, I’d happily make another batch! Also just FYI, I had to order the beeswax, red raspberry seed oil, and carrot seed oil online. I couldn’t find these at my local stores. I was able to find the shea butter at the supermarket and of course, I already had the essential oils, avocado oil, and coconut oil on hand. All of these ingredients are a little pricey but the good news is that there will be enough for you to make batches and batches of homemade sunscreen to come. When I finished it, despite the essential oils, all I could smell was the carrot seed oil. It was an overpowering, strange smell. But, I applied the sunscreen to my arms and face today and Ian smelled my face and said all he could smell was lavender. Hm? Well, okay. If you say so. The man approves. It smells nice. So why shouldn’t you just go to the store and buy cruelty-free sunscreen? Well sure, you can do this. For me, I find joy in making things for myself because then I know exactly what’s in it as well as how it’s been made. Plus, while some sunscreens have nice ingredients that are safe, the majority of them do not, in case you were wondering. The other thing is that if you buy a nice sunscreen, it’s probably going to be expensive, especially if you keep buying it over time. Protecting your skin is important, but it shouldn’t have to cost a fortune. It’s more economical to buy ingredients that you can use over and over again to make your own homemade sunscreen. Almost all of the recipes I found online included zinc oxide as one of the ingredients for homemade sunscreen. All of these recipes cautioned the user about not breathing in the particles of zinc oxide. I was confused by this. If I don’t want to breathe it in on accident, why would I want it touching my skin? It looks sketchy to me, and I didn’t want to use it in my homemade sunscreen. I would encourage you not to either. I’ve recently found that some conventional sunscreens contain nanoparticles of zinc oxide which can be absorbed into the bloodstream. Scary? Update to this post: I’ve been using this sunscreen for about a year now and not once been burned. It’s fabulous! I have also found that it loses its potency not long after that time, so I wouldn’t keep it for more than one year. Sounds very interesting and I’m going to try to make it wish me luck thanks for the information sounds great ? Definitely going to try the sunscreen. I have olive skin, but still get burn or my turn 2 shades darker. 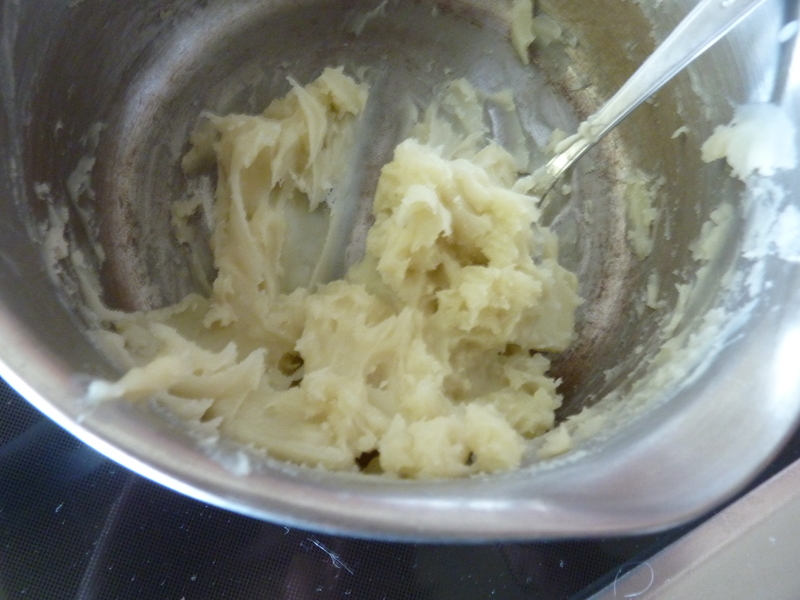 I didn’t like her recipe because it had zinc oxide in it, and almond oil, which I didn’t have. So I created this unique combination. Why does everyone use beeswax and not cocobutter which is just as hard at room temperature? I use beeswax just because I am familiar with it and have not tried cocoa butter. Perhaps a good alternative for vegans who are looking to avoid beeswax. Thanks for the suggestion, Sophie! I have an allergy to the sunscreens I’ve purchased. I’m not sure exactly what’s causing the reaction so this all natural mixture may be a win for me. Can this be used on the face or will it clog pores??? Hi April! I use it on my face all the time and have not had any issues with pore clogging. A little goes a long way, though, so don’t use too much. There could be any number of things in conventional sunscreens causing your allergy symptoms. I would definitely recommend trying a natural mixture! How long does this recipe last? I’m not sure if I would keep it around for more than a year, try to make a batch that you can use up within that amount of time! Hello! Can I use cocoa butter instead of shea butter cause that is what I have at home? Also, can I add bug repellent like citronella and lemongrass oil for essential oils? If I can how much can I put them in? You can certainly try to! 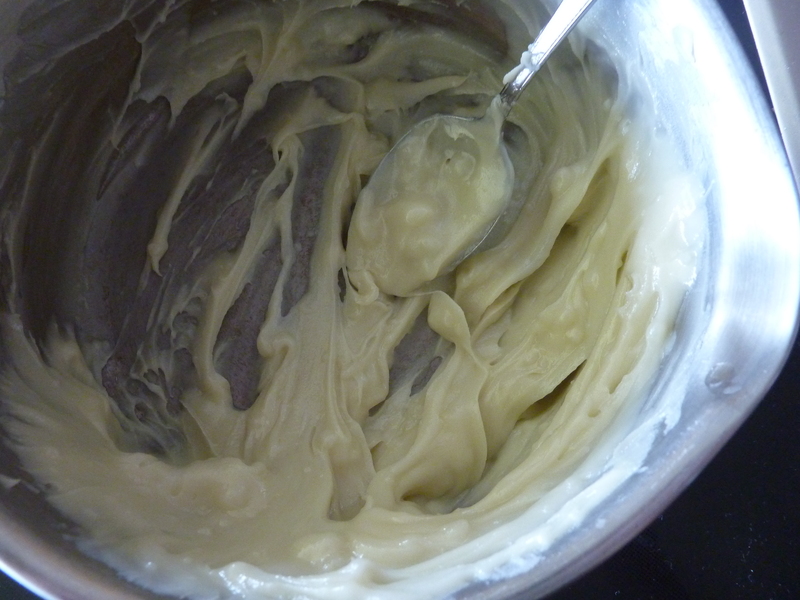 I’m not sure how the consistency will be though as I have not worked with cocoa butter before. Also I imagine lemongrass would be fine, plus it smells amazing! Maybe start with adding only 5-10 drops and seeing how you feel about the scent and also applying it to your skin to be sure it won’t irritate. Hope this helps! But just FYI on spf, you do not add up the numbers. The most spf it can have is the highest spf number of any one ingredient. Love combining all of these spf oils!!! OMG please take orange out of list of essential oils to add! orange oil will cause serious burn if you use it on body while in the sun! Really? I have not had this experience. Perhaps people with sensitive skin should shy away from this oil; although I have sensitive skin and have not experienced problems. 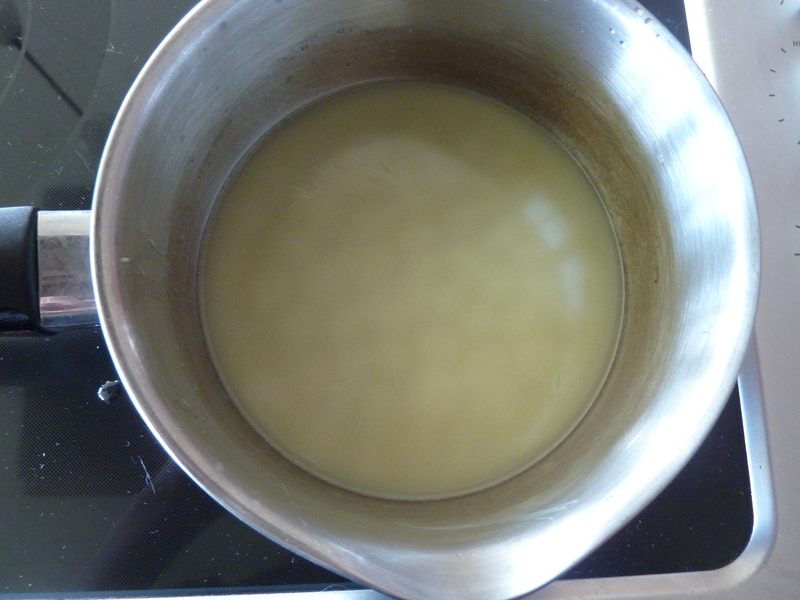 At any rate, adding only a few drops to the mixture is unlikely to be harmful. I find peppermint to be harsher than orange, as it has a cooling effect on the skin. Thanks for your comment! Yes! Citrus oils are photosensitive! You do not want them in your sunscreen!